When Philip Pirrip--nicknamed Pip--is forced by an escaped convict to steal food and supplies from his meager home, he doesn't know that this event will transform his life. 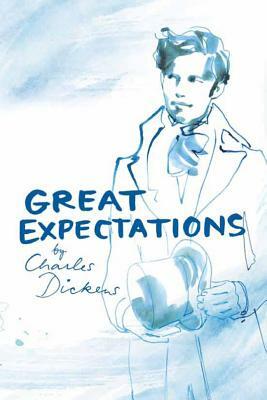 One of Dickens's most popular novels, Great Expectations follows the orphaned Pip as he grows from poverty into a gentleman, becoming entangled with the strange Miss Havisham and her beautiful but coldhearted ward, Estella, and coming into a fortune from an unknown benefactor. This engrossing work, which recently celebrated its 150th birthday, remains one of Dickens's best. Fashion illustrator Sara Singh's art has appeared in such publications as Vogue, the New York Times, and House Beautiful, and she has worked for designers like Givenchy, Tiffany, and Neiman Marcus.